Our hugely successful club was formed over 25 years ago. It has developed and matured from rented space in the former Ferryhill cinema to the present purpose-built facility at Spennymoor Leisure Centre, funded with the help of Sedgefield Borough Council and a £2.2 million lottery grant. 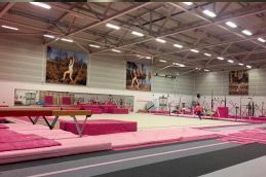 With continued support and investment from the council and others, the “Pink Gym” remains world-class in terms of equipment, coaches, and training philosophy. We’ve coached many excellent and talented gymnasts with club members named to regional and national squads at all levels! The club is also proud and fortunate to have trained Amy Tinkler, the 2016 Olympic Bronze Floor medallist! Despite the growth and success of the club, original values such as respect, fun, challenge, professionalism and teamwork remain unchanged. Whether you choose to participate in a single session or train for years, you become part of the Pink Family and part of our history.